We chose Leanne from among several brokers when we wanted to sell our house in Evergreen because she presented us with a great market analysis, backed up by extensive experience. We were not disappointed, and in fact, were so impressed with Leanne that we engaged her on the buy side to help us find a house in Denver as well. She knows how to price and sell a house! Leanne knows what she is doing. We would absolutely use her again and would recommend her as an excellent broker in both the Evergreen and Denver markets. I cannot recommend Leanne strongly enough to anyone trying to buy and sell a home, especially if there are challenging circumstances that require a superior effort from the agent to close the deal. Leanne is a Star you will not be disappointed in the least. Leanne sold my home in Colorado. I strongly recommend Leanne for any transaction you might be considering. 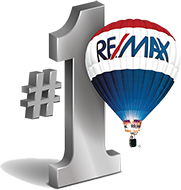 She not only got the house sold but she provided a level of service that significantly exceeded my expectations. Leanne knows the Evergreen market extremely well. Her analysis and marketing skills resulted in us receiving multiple offers for top dollar. Additionally, her attention to detail enabled a quick and easy close.